We got our daughter 1 of these at Christmas &amp; it is well worth the money. 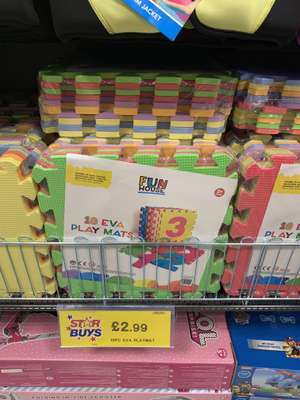 10 EVA play mats £2.99@ home bargains in store. 10 multicolour mats 29cmx29cm each Great for play rooms and nurseries. Wow heat. I just bought one for my kids for 8 pounds from toyshop but it's probably better quality ? 10? how would you make a large squeare with 10 pieces? Sold out before Christmas, maybe worth getting and putting away before next year. Buy 4 sets and flog the others on fleaBay? Also Rick &amp; Morty Monoploy and Rick &amp; Morty Cluedo available for £15.00 each. Ah really (fierce) Says available for Monday to me - maybe that’s for delivery..
Says will be ready to collect thursday so no good for Christmas maybe they have some in stock and could try in store but collect take 2 days. Tobbie is an intelligent six legged robot that will be loved by children. With lights and sounds he can convey emotions, making him your new adorable 6 legged friend. Tobbie is a smart six. Sorry but it's a him. Very mixed reviews on Amazon. Did you just assume it's gender ! Never miss a 'Christmas Toys' deal again! There are currently bears, unicorns and reindeer in stock, free click and collect. Great thanks, does anyone know if Claire’s click and collect are quilk to get ? Kill me. Bought the kids one of these each at full price last month for Christmas (annoyed) Too late to return now as well as it’s been over 28 days. Rarely find at a discount - heat!!!! We have this, and three of the large micro scooters. They are robust, smooth and quiet, and have great customer service. The large micro scooters can carry adults, so they will last many years. Ordered thanks, gonna save this until June for my kids birthday. £19.99 now at argos. The best I could find now was £15 at Asda. Order online for free click and collect, or pot luck when walking into a store. The large local store had them in stock. The Asda one is the blue one as well with 251 pokemon to guess. It does. Thanks very much. Don't want to get my little boy the wrong one. Yes, but the retailer did say they are doing guaranteed Christmas deliveries for orders up to Saturday 22nd December 2018. But Amazon doesn't give the guarantee. Catch 22! Not in stock until 21st, an extra £4.99 p&amp;p for delivery on 24th. A bargain if you don't want it before Christmas. £24.99 now, need to expire. My daughter got this recently for much more. Gutted. But she loved it anyway. It worked well for her. "the girl in the picture looks happy" What a daft thing to say. 6v only downside. got a Merc last black Friday with 6 v battery lasted all of 15mins and couldn't even drive on the grass with it. To be honest was a waste of money. Would spend the extra on a 12v and maybe something with a battery that will give more than 15mins of play. My 2&amp;3 year olds don't understand it takes hours to charge again all for 15mins of play time again. They see me rolln...they hatin! How big are the pot? Every year, Brits spend loads on toys and games, hoping to find products that loved ones will adore. But every year we face the same dilemmas. How to find toys that babies will love, or toddler toys that are safe but satisfying to play with? How to keep teens happy, or how to buy toys for boys or girls? Answering these questions can make the festive season much less stressful. Toy buying can be pretty simple when you tackle it in the right way. And at HotUKDeals, it can be affordable as well. 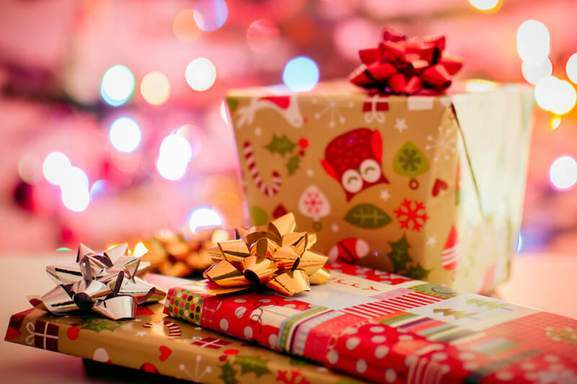 So let's look at how to find the right gifts at the right prices, so you can relax and enjoy the run-up to Christmas. Firstly, it makes sense to run through some of the options available to toy buyers this Christmas. When you head to shops, it can be tough to get a feel for the various styles of toy, and it's easy to be overwhelmed. So take some time to tick off ideas from the list below that could apply to the people you are buying for. Arts & crafts – If you want to stimulate the creative side of a child, there's a wealth of art and craft related gifts around. From basket weaving kits to paint boxes and easels, fashion design sets, and jewellery making kits, there's no shortage of creative options. Pick something that reflects your child's interests, and something you will be happy to help out with. Part of the fun of these gifts is teaming up with kids to create something special! 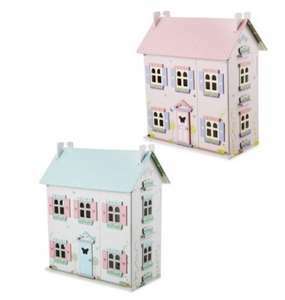 Merchants like the Range and Hobbycraft stock a wide range of arts and crafts gifts, so keep an eye out for a good deal! Board games and puzzles – Board games are another great option for families who want toys that everyone can enjoy. These days, there's a huge selection of new and classic games. If you want the latest creations, check out sites like 365 Games, which keeps track of new releases, while The Works is a good place to find the best jigsaw puzzles, as well as board games. When you pick a puzzle or board game, be careful to choose games which are suitable for different age groups. Modern games can be extremely complicated or incredibly simple, so check the recommended ages and read descriptions before making a selection. Books and educational toys – 'Edutainment' is another excellent option when buying toys at Christmas, so why not make learning fun? Books are a good way to go, especially children's reference books from brands like Usborne. But most kids will have their favourite writers and series, so you might just want to add the latest title from their collections. Merchants like Waterstones and WH Smith are stock a wide variety of book genres and perfect places to find something they will love! As far as educational toys goes, products like chemistry or geology sets will appeal to many budding whizz-kids. Early learning systems like LeapFrog's LeapStart are great for younger kids, and there's a Lego set for pretty much any youngster as well. 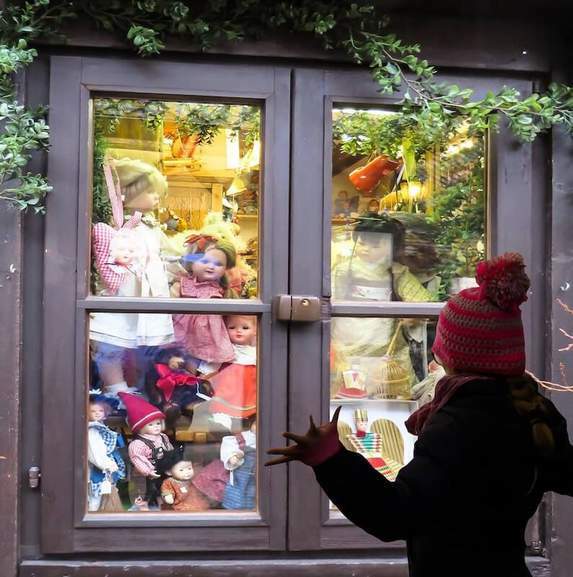 Dolls and cuddly toys – Dolls and soft toys will never go out of fashion, so they are always a safe bet for gift-givers who aren't quite sure what to get younger children. If you want something extra special, teddy bear retailers like Build-A-Bear are worth checking out. The John Lewis store is a particularly good place to look, while Smyths and Tesco are strong on dolls for girls. Bath toys – Bath time is usually play time for kids, so why not choose toys for the bath this Christmas? Aside from cliches like rubber ducks, options include all sorts of aquatic animal toys, as well as "splash and grasp" toys (great if you don't mind a little mopping up), and boat toys which can be propelled through the water via simple pull cords. Construction toys – If your child loves to construct Lego masterpieces, the Danish brand's Junior Construction range is a good place to head, with plenty of items like diggers and cranes for the architects of the future to play around with. But they aren't the only brand to think about. Meccano suits slightly older kids who want more freedom to create complex structures, while Lego Duplo sets are probably more suited to younger children. Action figures – The rise of gaming franchises like Assassin's Creed or God of War have given a new lease of life to action figures. If the child you are buying for is into gaming, figurines based around the titles they love are a great idea. But classic action figures like Action Man continue to delight younger children, while WWE is another hugely popular option. And if you want to make a safe choice, Marvel heroes are almost universally loved by kids as well. Outdoor toys – Christmas might arrive in mid-Winter, but that's no reason to dismiss outdoor toys as potential gifts. Kites, frisbees, and sports equipment will come in handy as soon as the weather warms up, and you might be able to get off-season deals for favourites like paddling pools, slides, and playhouses too. And, never write off bicycles. Christmas can be a great time to give your child their first bike, and the weather in late December is often mild enough to give it a try. Smart toys and electronics – Kids love gizmos and electronic games, there's no doubt about that. But we're well beyond Gameboys and remote controlled cars, although RC vehicles are definitely an option. Smart toys like interactive R2D2 droids can be programmed using phones, which will delight young Jedis and Star Wars fans, while drones offer fun for dads and kids alike. Try to pick smart toys that aren't too complex though. No-one wants to spend Christmas day puzzling over endless instructions. Instead, go for plug and play toys that are instantly accessible. Part of the art of buying gifts for children is knowing what is appropriate for different age groups. Kids change dramatically in the space of a few years, and when they do, the toys they play with change as well. So here are some things to bear in mind that should help you synchronise your toy purchases with their development. Toys for babies – Safety and simplicity are the key words when buying baby toys, generally aged 0-2 years. Larger toys tend to be preferable for infants, usually with soft materials and very few sharp edges. Don't go for bargain brands if possible. Opt for well-made, high-quality toys, and avoid anything with cords hanging off it. Good brands to look for include VTech, Fisher-Price and LeapFrog, all of which make reliable, safe and (more importantly) fun toys. Toys for toddlers – Buying toys for 2-year-olds can be really tricky. At that age, kids are starting to become more self-aware and autonomous, but still need supervision, while toys with lots of small parts are usually to be avoided. By 2, you can probably start introducing kids to brands like Lego, especially their Lego Duplo range, while “developmental toys” blend creative functions and colourful designs, and are a step up from baby toys in terms of their complexity. Toys for children aged 6-13 – What about buying toys for 10-year-olds? Actually, the period between 6 and 13 years of age is probably the easiest time to buy toys for kids. It's when they are exploring new things, avidly consuming entertainment brands, and generally on the lookout for all sorts of toys and games. Action figures can be great for this age range, especially ones that belong to franchises kids love. So do some research and find out which films, books or games they adore, and buy accordingly. At this age, you can also branch out into board games and jigsaws. In fact, group toys like board games are ideal as kids aged 6-13 love to get involved with adults. So anything you can all take part in works very well. Toys for teens – As kids grow older, the kind of classic toys we've been talking about won't cut it any longer, and you need to find products that bridge the gap between childhood and adulthood. That's not always a simple thing to do. Outdoor toys related to sports can be a good idea, along with gaming figurines. And complex board games can also go down well. Some teens get into brands like Warhammer, while others will appreciate craft and science-based kits, particularly teens with an artistic side. And if they are into computing, something like a Raspberry Pi could be ideal, providing a window into coding that could prove invaluable. 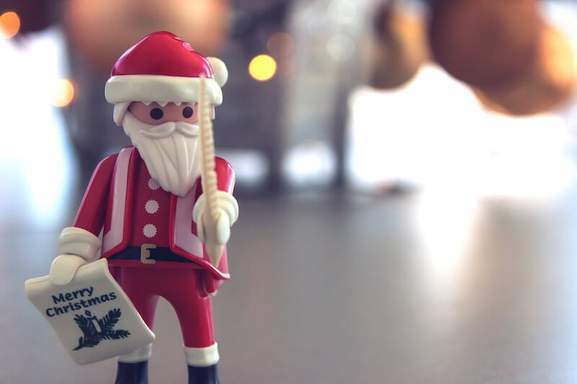 Toys for young adults – While those aged 16 and above are virtually adults, they still love to have fun, and gadgets and toys will always go down well at Christmas. Here, we're talking about things like electronics and gaming products, as well as novelty executive-style toys. Remember, those aged 16-18 spend a lot of time at desks revising or doing homework, so toy accessories can be a really neat addition to their study environment. While age is important, that still leaves the issue of what toys to buy for boys and girls. At each age range, the choices tend to be divided by gender. This isn't always as clear-cut as you might think. But generally, it's possible to divide toys into boys' and girls' varieties. Toys for boys – If you're buying for boys aged 5-10, interactive toys and figurines can be the ideal way to go. Brands like Fingerlings Untamed Dinos are a good example, with their fearsome dino dolls and motion sensitive behaviour. Lego Star Wars is another treasure trove of potential gifts for boys (Lego in general is always a good brand to look at). Gravitrax have also emerged on the scene with their spin on traditional marble-run games. Mixing a physics lesson with construction toys and sheer fun, their toys tend to tick plenty of boxes for boys as they approach their teens. Sports is another area to look at. Table games like pool, darts sets, Subbuteo, or Foosball could work well. And books for boys are worth looking at. Sci-fi from authors like John Christopher, Jeanne DuPrau or Alex London should captivate boys, but there are plenty of writers who fit the bill. Toys for girls – In general, finding toys for girls aged 2-16 won't be too hard. For starters, you will often do well with classics like My Little Pony or Sylvanian Families, with their charming woodland figures. The collectible toys from brands like LOL Surprise! are in fashion right now, but make sure the recipient doesn't already have the model you're thinking about buying! And there's a wealth of doll brands around, from Ty Sequin Flippables to Nella the Princess Knight. 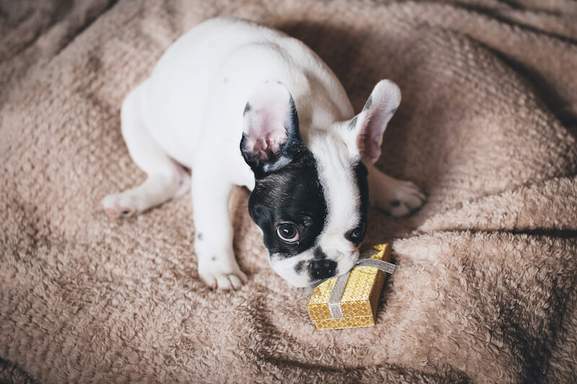 If you want to be more creative, painting and craft sets are an excellent option, as are cute pet-style toys like Ricky the Trick Lovin Pup, who has around 100 different “tricks”. As with buying toys for boys, there's no single rule about what to get. The important thing is to find out what the recipient loves, and buy accordingly. And, as with boys, books are always a wise option to go for. Some girls love adventure stories and fantasy, while others gravitate towards Young Adult fiction from an early age. If you're not sure about the child's reading level, be sure to ask their parents. As a child, there's nothing worse than receiving a book that's pitched at kids a couple of years below your level. By now, the choices available when buying toys for Christmas should be becoming a little bit clearer. 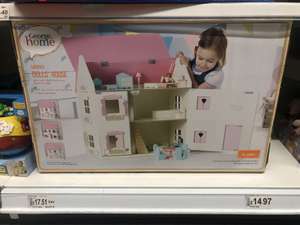 But there's another way to size up the options – browsing the product ranges offered by the UK's biggest toy retailers. All of these merchants can be found at HotUKDeals, so if you find something suitable in their collections, be sure to check their HotUKDeals listings for the latest discounts. Smyths – Smyths run 110 toy shops across the UK, as well as their well-stocked online store, and their products range widely across every genre of toy imaginable. Their store is a great place to start looking for boys and girls toys, with options for all age groups, although the choices tail off a bit as you reach the teens. Their Baby Room is a useful place to check out toys for young children, while their Gift Finder is even more useful – allowing you to filter results by age group and price. 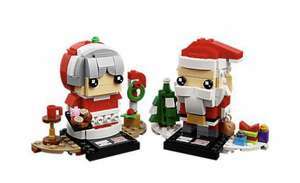 Amazon – The world's biggest online retailer, Amazon has the widest selection of toys anywhere in the UK, and they regularly offer discounts – even with Christmas a few weeks away. Strong on girls and boys toys, their toys store makes it easy to filter by brands, and the range of sub-categories is dizzyingly broad. If it's not here, it may well have been discontinued. Argos – Wherever you live, you're likely to be within a short drive of an Argos Superstore, and you may well have an Argos catalogue on your living room table. Available in-store or online, their toy selection is impressively wide, with clearly divided sections for different ages and plenty of ways to save. If you're looking for Lego, Argos is a particularly good place to shop, with every kit listed and often discounted to competitive prices. John Lewis – John Lewis is a great place to find premium baby toys and high-quality soft toys for younger children, as well as outdoor toys, wooden toys, board games and puzzles, books, and craft sets. Prices tend to be slightly higher than alternative merchants, but delivery discounts and money off deals are common, so John Lewis doesn't have to work out more expensive. Tesco – The UK's largest supermarket chain may be most famous for selling groceries, but it's also one of the nation's biggest toy retailers. The Toys & Games section of the Tesco website features everything from Barbie dolls to drones, and you can toggle the “special offers” button to bring up a huge selection of discounts as well. Mothercare – If you're looking for toys that young infants will love, look no further than Mothercare. One of the most trusted brands among parents, Mothercare always offer plenty of soft toys, craft products, educational toys, games, and things like stackers and playmats. It's all pitched at kids aged up to 5, so don't expect gifts for older children. But if you're buying for an infant, there's no better merchant to try. What About Toys for Dogs and Cats? So far, we've only thought about boys and girls, which means we've left out some very important members of the family: pets. As any dog or cat owner will testify, dogs and cats love to play, and pet toys are a wonderful gift to give them during the festive season. So don't leave them out. There are plenty of great pet toy products around that can help them join the fun. Dogs – Dog toys span a wide spectrum of items, but they all have the same goals in mind. Obviously, they must be fun to play with, but many are also designed to promote exercise and stimulation, making them extra useful. Special dog tennis balls and frisbees are always handy, making walks more enjoyable, and chews are good to have around the hous, instead of chewing up wrapping paper! Some toys go further, though, such as Nylabone Dental Dinosaurs, which actually promotes good dental health while dogs give them a good chew. Cats – Cats won't be so impressed by toys that need to be fetched, or toys that are designed to chew, but that doesn't mean there aren't plenty of options to try. Cats tend to love “scratch and chase” toys. Often featuring a touch of catnip to stimulate their senses, these toys will keep them busy on Christmas morning. Squeaky toys give them the experience of chasing mice, while they also tend to love tunnels and houses. In fact, anywhere they can laze around and catch forty winks will go down well, so beds and cat boxes are an excellent idea. Hopefully, you're a little bit closer to knowing what's going to go in your children's stockings this Christmas. It's not always easy to know what to buy youngsters, and we all want to make Christmas as special as possible. So with luck, our buyer's guide has offered some valuable pointers. But that still leaves the question of finding the best deals. Whatever you're looking for, HotUKDeals is the place to start. Our listings include all of the UK's major toy brands and merchants, so you can browse them regularly as Christmas approaches. However, remember that you may find lower prices if you start early. Black Friday in November is often a good time to shop, with prices rising as the 25th December nears. However, even if you have left things late, there should be deals around. The trick is to find them, and at HotUKDeals we make this simple. So think hard, make a shortlist, and come up with the best sack of gifts Santa has ever delivered – at the lowest price yet. Everyone wants to give the best possible Christmas presents, but matching gifts to children can be tricky. However, no matter whether you're buying action figures for 7-year-old boys, cuddly toys for babies, or craft kits for 10-year-old girls, the right products are out where, waiting for you to find them. When you do, check out the HotUKDeals Christmas 2018 Toys listings for the best possible deals on toys this Christmas.